There is something about meeting up with friends and enjoying a Saturday Brunch. 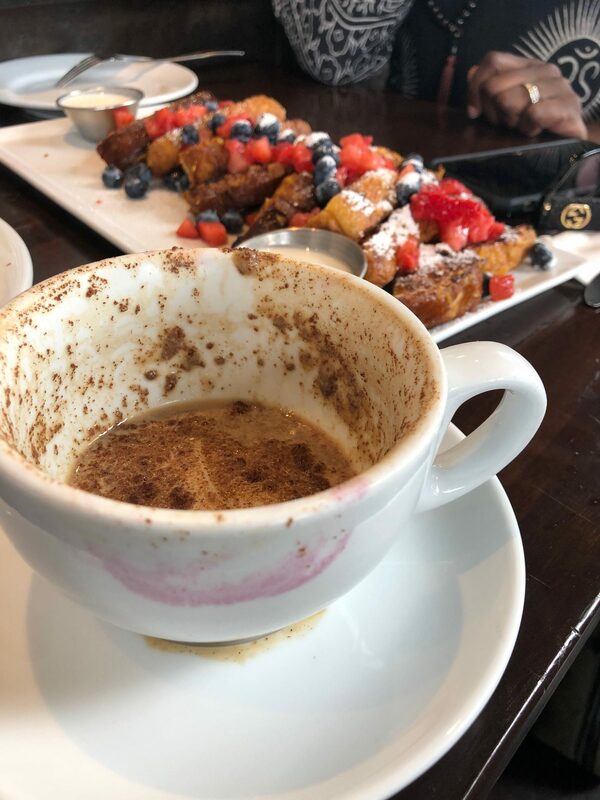 Brunch is that special time where you can catch up, swap stories, and even shed a few tears as I did. Brunch can almost be like a spiritual experience. 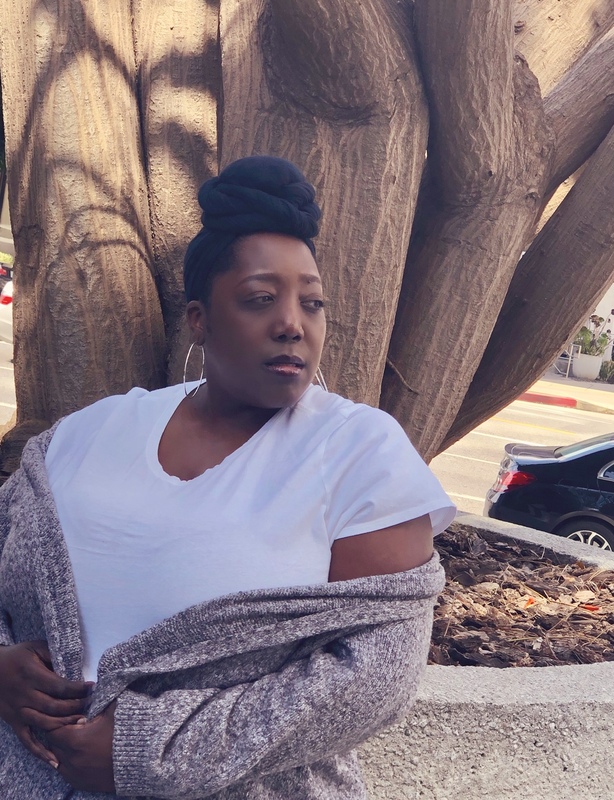 When you arrive at brunch, your worries and stresses are resting on shoulders, but as you start to talk, laugh, break bread, and release your cares, you feel lighter. Your worries and stresses don’t seem so bad. Your friends have allowed you to pour out what was needed as they pour into you. Brunch is an amazing celebration of love and friendship. 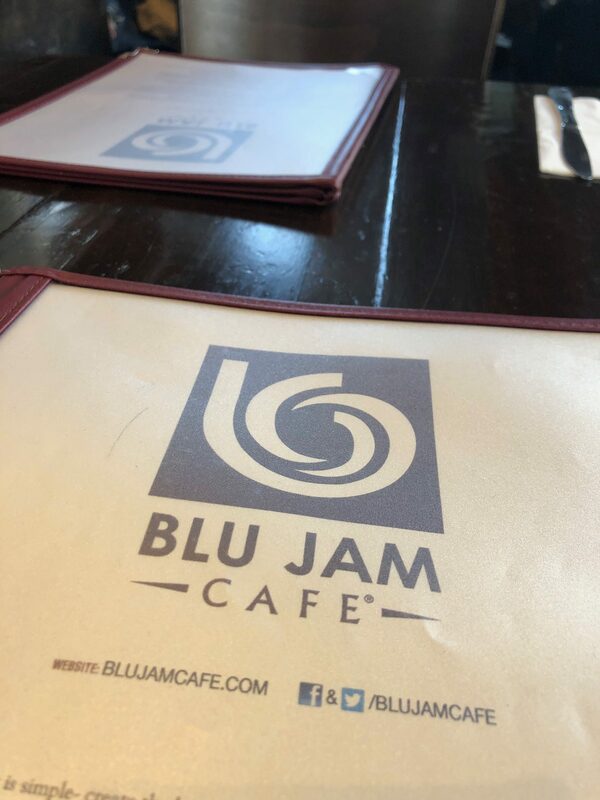 We decided to have Brunch at Blu’ Jam Cafe in LA, and to be honest, it was my suggestion because I had tried it once before and really enjoyed it, so I wanted to go back and give it another try. The parking in the area is pretty bad but you can pay to park in the building where the restaurant is located for $2 per 90 minutes, but I was determined to find free street parking. Once I located a parking space, which was so close, I added our names to the waitlist which I was told would be 35 minutes. Since I arrived early, I found some outdoor seating and read a little. The wait was only about 20 minutes and we were ready to be seated. I started my meal with a Spiced Chai Tea Latte with Almond Milk which was the perfect prelude to brunch. The latte had the perfect spice, was slightly sweetened and so velvety smooth. It was delicious. For breakfast, I decided to try Frittata with Spinach, Bacon, Grilled Potatoes, mushroom and tomatoes topped with Parmesan cheeses and we split the Crunchy French Toast with fresh berries. 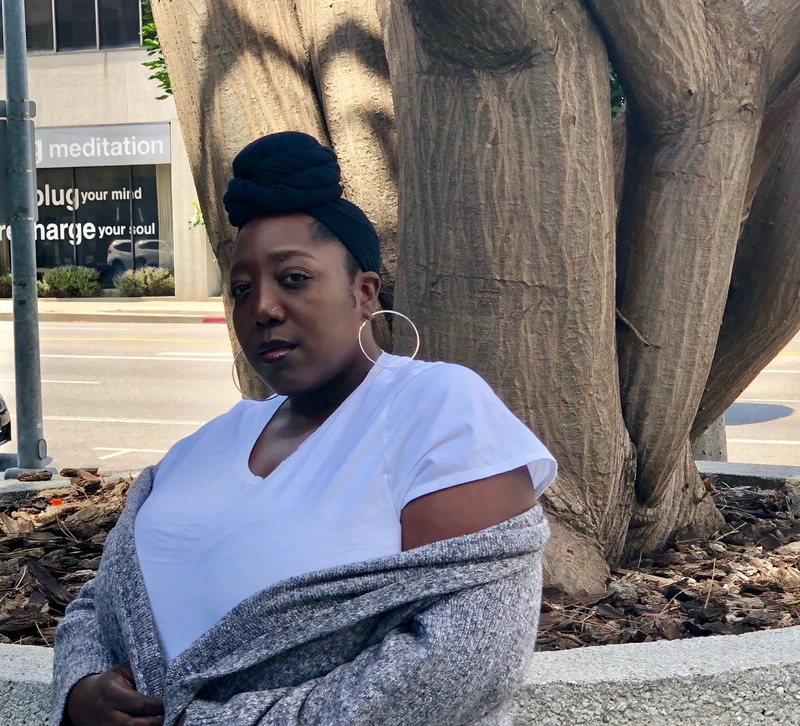 The food was a little on the pricey side, however, the service was impeccable, the food was excellent and overall vibes was very relaxed and chilled. 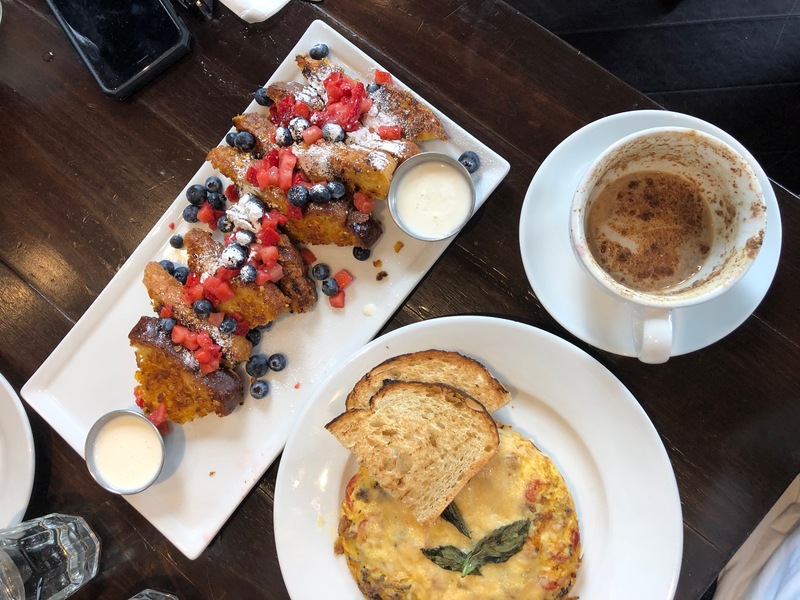 Blu Jam Cafe is perfect if you looking for a mix of options for brunch, it’s also located near Santa Monica for those wanting to visit the beach afterward or head east on Wilshire, and you’re close to Beverly Hills and Westwood, home of the Bruins. Blu Jam is centrally located to have a fun-filled California style day. 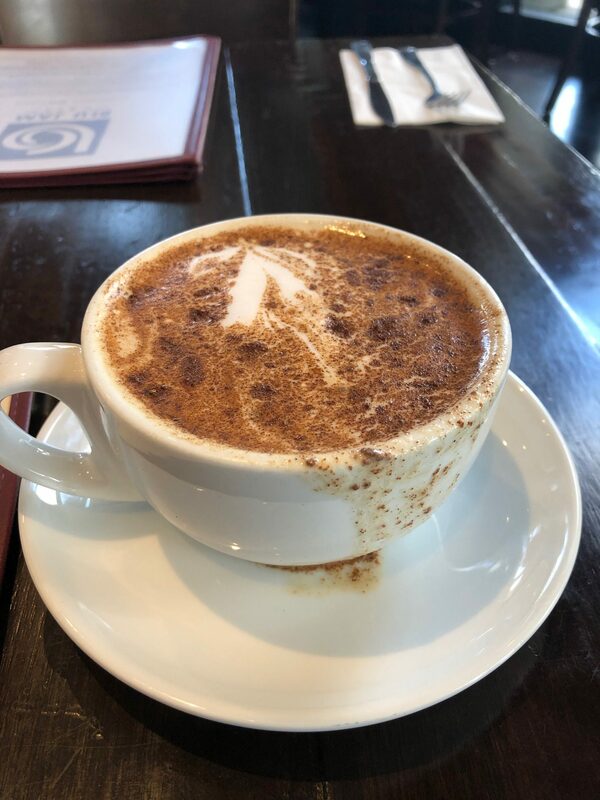 The Spiced Chai Tea is must try. If you love chai tea, you have to try it. It will change your life. I’ve been thinking about that drink since I left. Definitely, grab the Crunchy French Toast for the table. There is plenty of crunchy fruity goodness for everyone. If you looking to head over and enjoy brunch yourself, here’s the address and let me know what was your favorite!